Perdita Phillips is a Western Australian artist working across the media of walking, sound, installation, photography and digital media. Through her work she explores the mutual relationships between people and the nonhuman world. Exhibitions include In Vetland (solo, Murdoch University 2009), Home Open, (Fremantle Arts Centre 2010-2011) and Visceral: The Living Art Experiment, (Science Gallery, Dublin 2011). As founder and co-editor of Lethologica Press she has designed, contributed and published various books including A simple rain (with Vivienne Glance 2012) and The Estrildid Orchestra (with Thea Costantino 2012) and birdlife (various authors 2011). The six strands of sound are woven together, challenging the participants to think through the conceptual ‘interference’ of different levels of time and space. 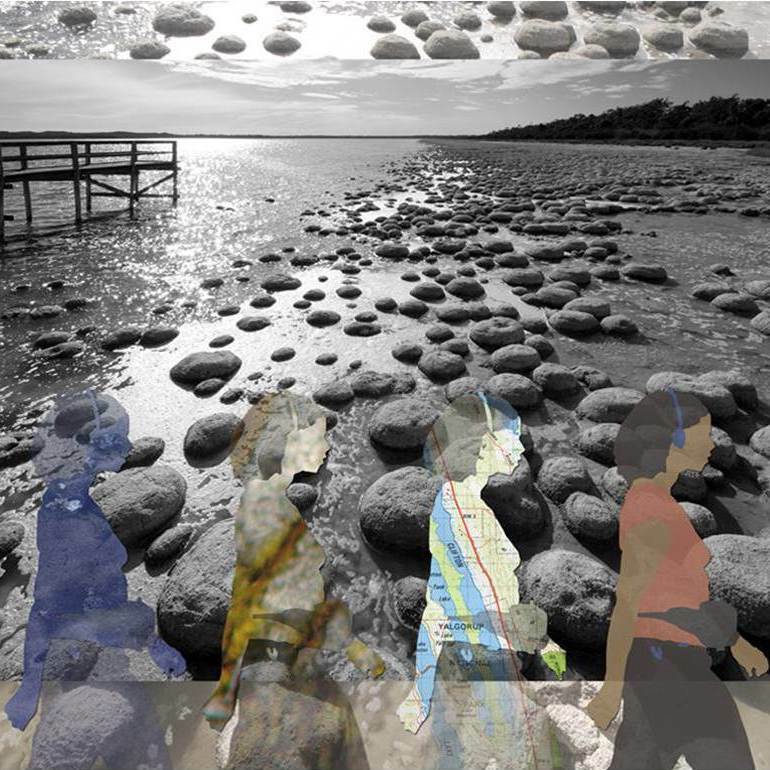 Presented at the gallery is a small sampling of the soundtrack and documentation of the installation at Lake Clifton. In this work, beach cusp sound moves through different speakers in a sequence similar to the way waves come up a beach before washing back out into the sea. Explanation for the formation of beach cusps remains inconclusive and may involve the formation of standing edge waves or, alternatively, can be understood as a paradigm of self organisation or as an analogy for how we may reset our environmental and cultural priorities.